Published in the November issue of The Big Issue. 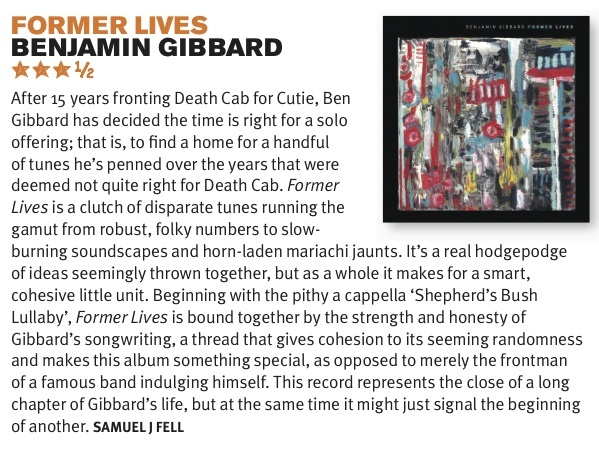 After 15 years fronting Death Cab For Cutie, Ben Gibbard has decided the time is right for a solo offering, time to find a home for at least a handful of the scores of tunes he’s penned over the years, deemed not right for The Cab. 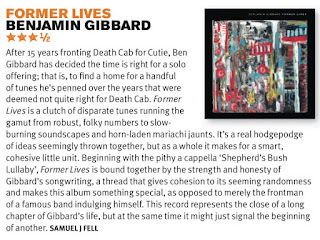 Former Lives is that home, a clutch of disparate tunes running the gamut from robust, folky numbers to slow-burning, big-building soundscapes to horn-laden mariachi jaunts, a real hodge-podge of ideas seemingly thrown together for comfort and support, but which as a whole, make for a smart, cohesive little unit. Beginning with the pithy a capella ‘Shepherd’s Bush Lullaby’, Former Lives, despite its seeming randomness, is bound together by the strength and honesty of Gibbard’s songwriting, a thread which solidifies, injecting some cohesion, anchoring it and making it something special, as opposed to merely the frontman of a famous band, indulging himself. 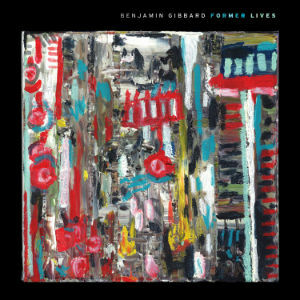 For Gibbard, this record closes a long chapter of his life, but at the same time, I’d not be surprised if it began another.